Misty Wilkes was arrested in Robersdale, Alabama this week and charged with chemical endangerment of a child, drug possession and tampering with evidence after cops say she swallowed an unknown amount of methamphetamine during a traffic stop. 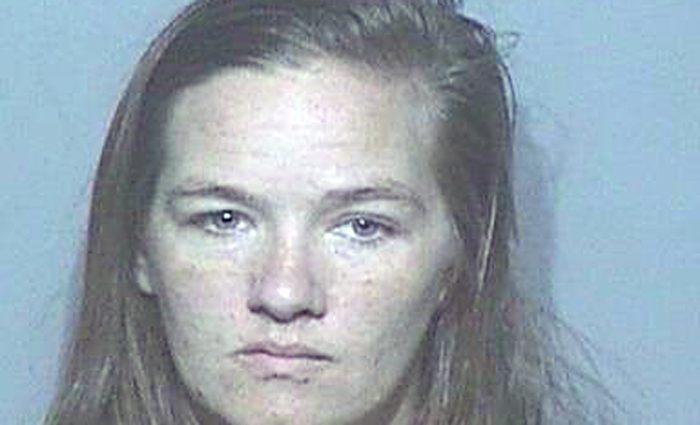 Cops say they found a rolling meth lab in Misty's -- who's 5 months pregnant -- car. She was taken to a local hospital via ambulance where she spent three days. Doctors were able to determine her unborn baby was not harmed due to the drugs. After she was discharged from the hospital, she was taken directly to jail.